SELLER WILL CONSIDER BACK-UP CONTRACTS*THIS IS A QUALITY HOME AT A GREAT PRICE...THE MARKET IS GOING UP*GET YOUR NEW MOUNTAIN HOME NOW*UPDATED THROUGHOUT*NEW TRAVERTINE FLOORS*NEW DESIGNER LIGHTING*NEWER APPLIANCES*CROWN MOLDING*NEW WINDOWS*BEAUTIFUL NEW BATHROOMS*NEW STAIRCASE*CUSTOM PAINT*OPEN FLOOR PLAN*SUPER CLEAN*AWESOME DECK TO ENJOY THE MOUNTAIN VIEWS*FANTASTIC FOOTHILLS LOCATION*SURROUNDED BY BEAUTIFUL PINES*OVERSIZED GARAGE*NO HOA*MOVE IN CONDITION*THIS IS A 10*HIGH SPEED INTERNET THROUGH CENTURY LINK OR HUGHES NET AT 25 MBPS*PINE PARK ESTATES: A CONVENIENT FOOTHILLS NEIGHBORHOOD THAT ALLOWS RESIDENTS TO LIVE IN THE MOUNTAINS AND EASILY COMMUTE TO THE DENVER METRO. 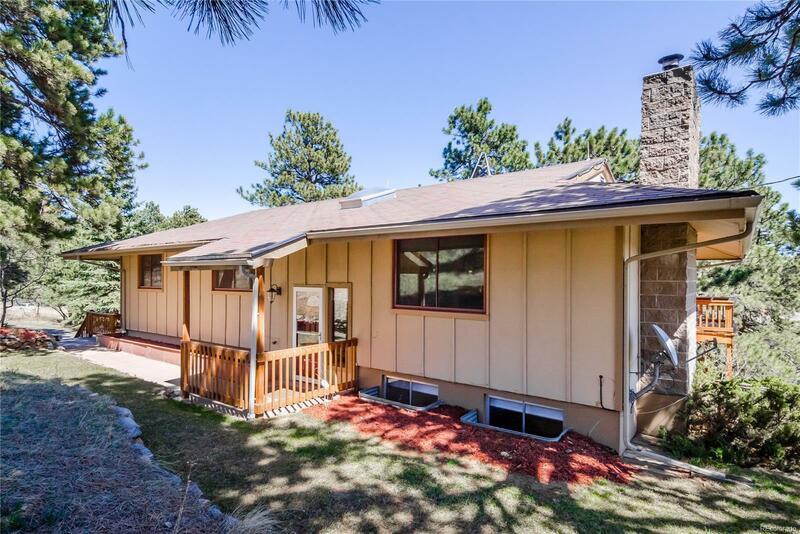 PINE PARK ESTATES IS EQUIDISTANT FROM DOWNTOWN EVERGREEN, MORRISON, ASPEN PARK, CONIFER AND C-470. ENJOY EFFORTLESS PROXIMITY TO GROCERY, SCHOOLS, RESTAURANTS, WORSHIP CENTERS, PARKS, GOLF AND DAILY NEEDS.